Still fishing for the best wetsuit out there? We’ve got you (and your body) covered. Also, we included both men’s and women’s wetsuits beneath every brand and also link to different styles. Some of them even offer kids styles if you’re taking your kids on vacation with you too! 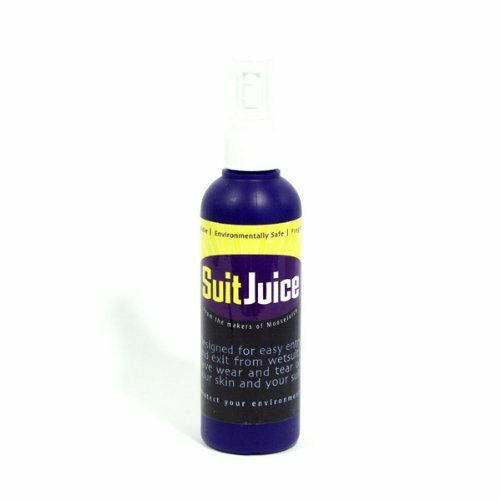 Most importantly make sure you grab some Suit Juice here if you are going with an open cell wetsuit. Don’t know what open cell is? Check that out in our buyer’s guide. When you are shopping for wetsuits one of the critical aspects is the material. This is super important, and we talk more about this below in our buyer’s guide. One thing you’ll find with the O’Neill Reactor wetsuit is the quality of the neoprene – the main reason it’s the best wetsuit in this list. They have Fluid Foam & Fluid Flex integrated into their neoprene. Typically in wetsuits under $200 we’ve noticed that the material isn’t as stretchy or mobile as some divers/surfers/snorkelers would prefer, but that’s what makes the Reactor suit so awesome. Fluid Foam & Fluid Flex allow 100% stretch on the body so you can be assured this will suit (pun) your needs for any type of water activity. Another great thing to add here is it will also help with a more comfortable fit. If you were to purchase a wetsuit without the stretch factor within the neoprene and it was too small for you it may be uncomfortably snug, but with the Reactor suit you have a little more wiggle room on choosing a size that works best for you. This is a 3/2 wetsuit so 3mm open cell on the body and, and 2mm on the legs. Aside from the thickness overall the thickness of the knee pads alone are great. O’Neill calls them Krypto Knee Padz and they are abrasion resistant and stretch with any movement you make with them. As far as fit goes here are the sizing charts for both men and women. 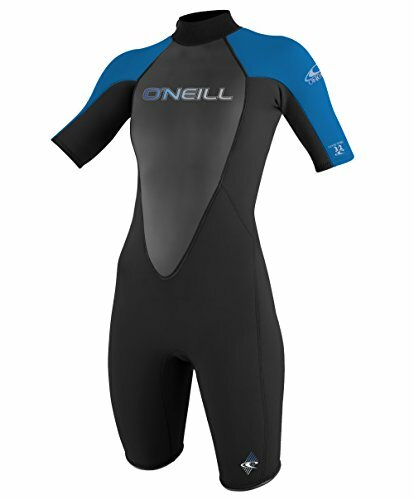 The O’Neill reactor style we mentioned above is obviously a full body style wetsuit, but they also have a spring/shorty style swimsuit that they offer for both men and women here. Aside from that the zipper is a spine zipper that (you guessed it) goes right inline with your spine, but also comes with a tail long enough that you can easily grab to unzip without breaking your shoulder doing so. 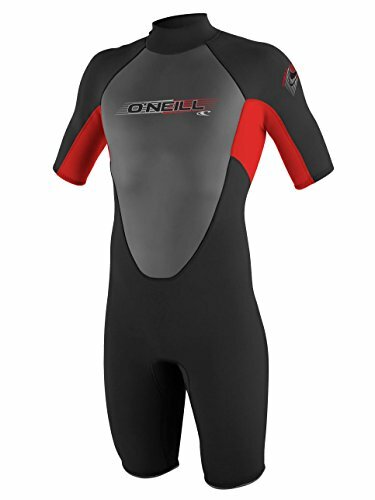 We couldn’t find any faults in the design or function of the O’Neill Reactor which is why it’s our pick for the best wetsuit, but the others below are very similar in quality and you can’t go wrong with any pick in this list. After all, we only choose 5 – not 50. Much like the O’Neill Reactor wetsuit, the Phantom Aquatics Voda is made of open cell neoprene, but instead of being 3/2mm it’s 3mm all over (torso & limbs included) so it’s slightly thicker in certain areas. This one could have easily topped our list for best wetsuit. The Voda is made of UltraFlex super stretch neoprene so you won’t be feeling any tears for any sudden movements (like when you thought that quick movement out of the corner of your eye is a shark and you start swimming away FAST). Another cool part worth mentioning is the double super seal neck. If you’re worried about water flooding into the wetsuit don’t be with the Voda. It won’t allow it to happen once you cinch it down twice. As we mentioned above this is a 3mm open cell wetsuit so it’s thick enough to keep you warm, but it also is great for warm waters too. So if you need a good ‘all around’ suit this could be a great choice for you because you won’t be steaming up in your suit. Here are the sizing charts. Just like the O’Neill Reactor Wetsuit the Phantom Aquatics Voda also comes in a shorty style for men and women alike. One of things that we liked about the Marine shorty is that it seemed to be a little more contoured to your body than the full wetsuit. If you look at these pictures you can see more defined stitching around the mid-section of each. 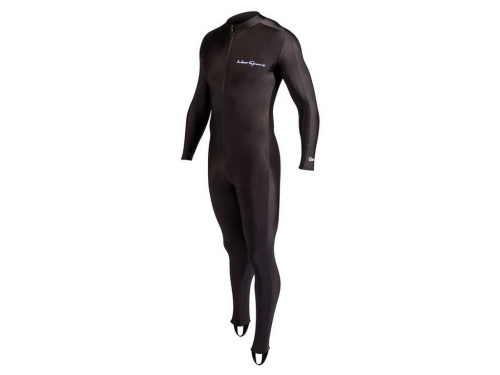 To add – they are also 2.5mm so if you want a wetsuit for warmer waters or for surfing and you need to be able to move around easier then this could be a good fit for you. The stitching is flatlock, and extremely durable. The wetsuit also comes with a YKK zipper which are present in just about every water proof product that needs a zipper. It’s easy to zip up and start your dive, and also easy to get out of. The Neosport made our list for the best wetsuit 2019 because of the value you get here. Obviously the wetsuit itself is cheaper than the other ones mentioned above, but it’s for a different type of activity. This wetsuit isn’t made for cold water diving, but instead is intended more for free diving and just all around swimming. 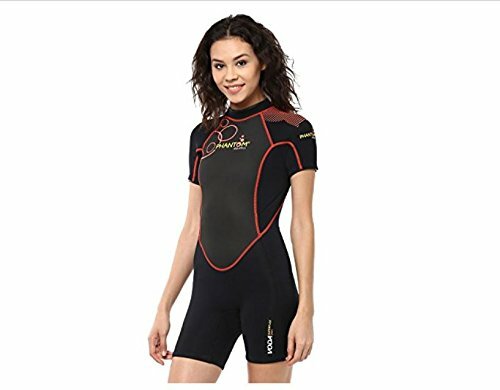 This wetsuit would be perfect for snorkeling, and keeping your back from getting sunburnt if you were going to be doing that for a long time. The thickness is only 1mm so if you need something for warm water only then this is definitely a cost effective option. As far as sizing goes this is a unisex suit so you can go here to see more sizing options. The neosport we mentioned above is a unisex full body wetsuit, but they do also make shorties for both men and women (not unisex). The NeoSport has FlatLoc stitching – which is understandable because this is less of a wetsuit and more of a ‘skin’ to be used in warmer waters, and you shouldn’t use this in cold water if you intend to stay warm. One of the cool things about the NeoSport is that it sports a full frontal zipper so that you don’t have to reach behind to unzip it. It zips all the way up the front just like your favorite jacket so you can easily get in and out of the skin. 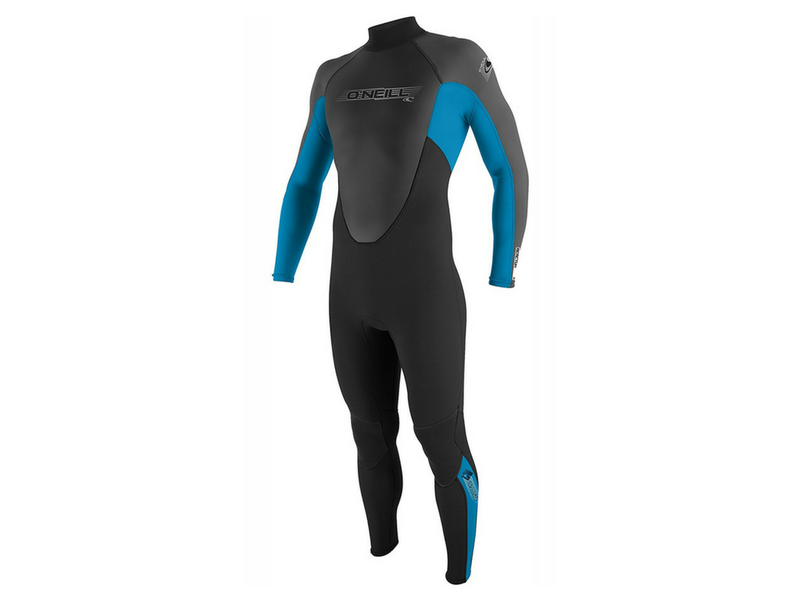 The Cressi wetsuit is made of neoprene (open cell), and is the best wetsuit in this list for year round use. You can use this in the mid to warmer temperatures of water, but if you’re going to be in colder waters you may want to look at something thicker. Being under 3mm, but also thicker than 1mm is why this is our best wetsuit for using all seasons of the year. One of the things we weren’t a huge fan of, but is also just a preference were the lack of knee pads on the wetsuit. Whereas O’Neill’s Reactor, and the Phantom Aquatics Voda are winning in that department there aren’t any knee pads to be seen with the Cressi Summer. Consider what type of diving you’ll be doing, or if you’ll be using it for surfing. Just something to weigh. 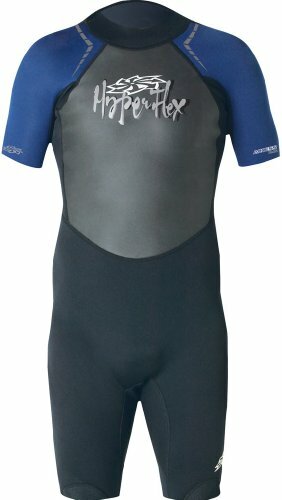 This is a full body wetsuit, but Cressi also makes a shorty wetsuit called the Tahiti for men and women. Just like the other wetsuits above the Cressi Summer (full body & Tahiti) both come with flatlock stitching so the water will somewhat seep through, but just depends on what temperature of water you will be in. After all it’s only 2.5mm so isn’t intended to keep you hot anyways. The zipper on the back comes with a long cord so you can easily grab it and get out of the suit once you’re done diving. The neoprene itself on the hyperflex is exceptional for the money being spent. For the money it was the best wetsuit (excluding the neosport skin above) we could find. Under $100 here, and this one actually competes with the O’Neill Reactor, and the Phantom Aquatics easily. This is a 3/2mm suit so 3mm around the torso and 2mm around the legs. Perfect thickness for any type of water. Around the knees there is some great padding as well that won’t rub you raw. The hyperflex also offers shorty wetties (you like that surfer talk?) as well for men and women. It doesn’t have a ton of stitching and contouring all over the wetsuit, but it does have some across the mid-section to help with the fit. It for the stitching on the wetsuit (mainly around the underarms and also at the mid-section going across) it’s flatlock stitching just like the others above. The zipper is tucked away on the upper part of the wetsuit, but is also easy to reach with the lanyard so you can grab it to get out of the suit. There are 5 aspects within wetsuits that we need to evaluate so that you’re making the best decision. But – before we dive (pun) into those aspects you need to ask yourself a few questions that will ALSO help alongside these aspects. How often do I dive or snorkel? When you do dive or snorkel is it more leisurely, or are you the more serious type? 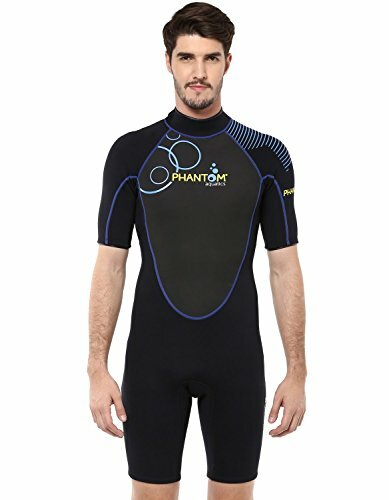 Is a $200 wetsuit going to bring me more value than a $100 wetsuit? These are all important to ask yourself. The last question obviously relates to what type of buyer you are. Do you settle for the cheaper stuff that may not last as long as a more expensive suit, or do you buy things with the intention of only buying 1. Let’s look at the other pieces I mentioned above for choosing the best wetsuit for you. There seems to be some confusion on the difference between open cell and closed cell suits. So before we talk about the 3 main materials you see present today in wetsuits..
….let’s look at the difference in closed cell and open cell. Both of these options concern neoprene wetsuits, but there are also suits out there that combine lycra and spandex on the inside of the suit. To understand the differences let’s take a step back – and we’ll bring it around. When neoprene (most common) wetsuits are manufactured they come in big thick sheets. Those thick sheets of neoprene are then cut down into thinner sheets – giving you options on thickness. Neoprene consists of tiny air bubbles (millions of them) so when they are cut down into thinner sheets you can picture those tiny air bubbles becoming like little tiny suction cups that will stick to your skin. When the wetsuit sticks to your skin it’s obviously more form fitting, but also provides you with more warmth while you are snorkeling or diving. This describes an open cell wetsuit. Now instead of letting that wetsuit be ‘as is’ – if the manufacturer were to LINE the inside of the suit with another material such as polyester, lycra, nylon, or any other material.. This describes a closed cell wetsuit. To go a little further there are pros and cons to both, but depends on what type of diver you are. More warmth per mm of wetsuit vs closed cell. You can get the same warmth from a 3mm open cell wetsuit as a 6mm or 7mm closed cell wetsuit. Allows the water to come between your wetsuit and your skin. Diving in warmer water? This is probably a better choice for you. Easier to get off and on than an open cell wetsuit. The internal lining (assuming it’s not 100% neoprene allows it to slip on and off your skin and requires no lube). There is 1 other type that you should be aware of if you are really active and looking for a triathlon wetsuit. Triathlon style wetsuits are smooth on the outside, and they are lined on the inside for protection (more than just for warmth). They don’t provide as much protection as a neoprene exterior, but they do have less drag – making it much easier to hold your pace in a triathlon or swimming competition. Last thing to mention on wetsuit material is Lycra, Spandex, and Polyester. You will often see these present when looking at closed cell wetsuits. To make them easier to get on manufacturers will either combine these with neoprene to make it easier to get in and out of the suit, or they will cut out the neoprene completely and only use these materials. We discussed thickness above in material, but when it’s most important is the temperature of the water you’ll be diving and/or snorkeling in. Also make sure you consider whether or not you’re going with a closed cell or open cell like we mentioned above. Per mm open cell is typically warmer than closed cell. This will not only depend on the temperature of the water you are in, but also what kind of sea life you may come across. Some provide the limbs with coverage, and some do not. In the wetsuits within this list, and also in most wetsuits you see on the market today there are 3 main types of stitching. We created some insightful photos to give you a better understanding of how they work and who they apply to rather than just talk about it. The last thing to consider before purchasing a wetsuit is your yes – your gender, but also your type of build. Just because it says a men’s suit doesn’t mean a woman can’t buy one and vice versa. Women’s wetsuits will be a little more tapered, while men’s will be a little ‘straight cut’. Men will have a little more material around the private parts of the wetsuit to allow more comfort too so if you’re looking at men’s suits and you’re a woman please consider this. We covered a lot of info here on wetsuits. It’s a lot of info to absorb so come back and reread certain parts if you need to. More importantly make sure that you consider what type of water you’ll be in, what type of snorkeler/diver you are, and look at all of the details about a wetsuit before you buy one!